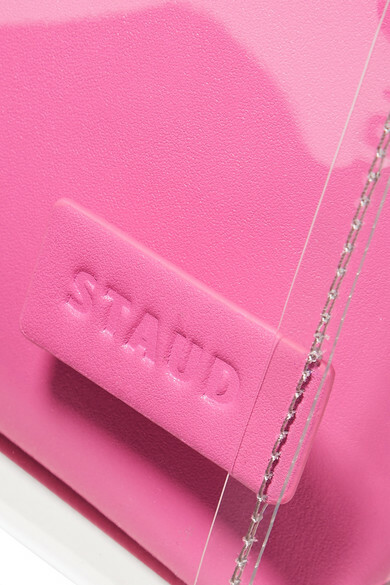 NET-A-PORTER Fashion Director Lisa Aiken was spotted carrying one of STAUD's sought-after 'Shirley' totes during New York Fashion Week. 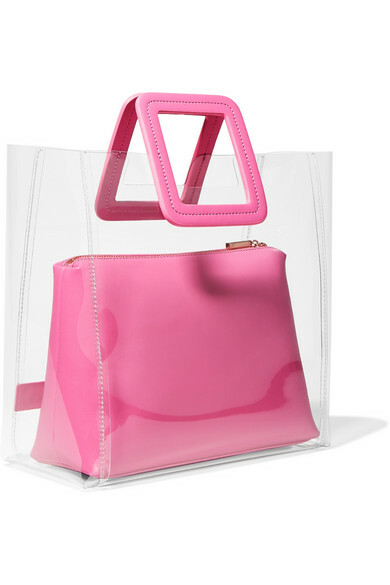 Made from transparent PVC, this open top style has geometric pink leather handles and a removable zipped pouch that's roomy enough to fit all of the essentials. 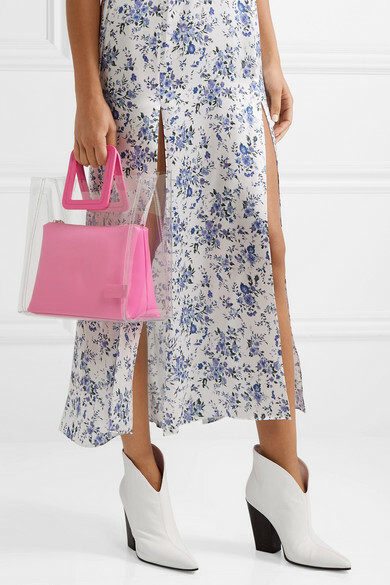 Wear yours with jeans and a blouse or a maxi dress. Shown here with: Les Rêveries Dress, Magda Butrym Ankle boots, Alighieri Necklace.